This topical book provides practical, tried and tested strategies and resources that will support teachers in making PE lessons accessible and rewarding exciting for all pupils, including those with special needs. 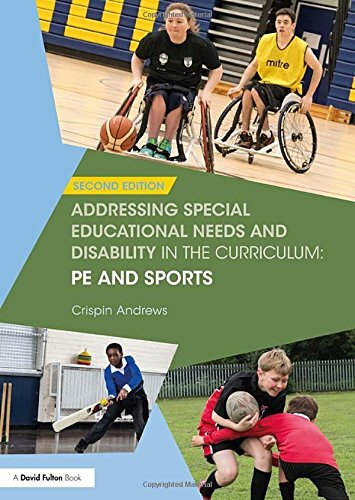 The author draws on a wealth of experience to share his understanding of special educational needs and disabilities and show how the PE teacher can reduce or remove any barriers to learning participation.ã? ?Offering strategies that are specific to the context of PE and sports teaching, this book will enable teachers to: Ensure all pupils are able to enjoy and appreciate the value of exercise and sport Create an inclusive environment Tailor activities to fit the needs of mixed ability groups Help pupils to develop the skills and confidence to enjoy different kinds of sport Encourage young people to think about what they are doing and make appropriate decisions for themselves An invaluable tool for continuing professional development, this text will be essential for teachers, TAs and coaches (and their teaching assistants) seeking guidance specific to teaching PE and sport music to all pupils, regardless of their individual needs. This book will also be of interest to SENCOs, senior management teams and ITT providers. With free online material and practical resources in the appendices, this is an essential tool for everyone striving to engage all pupils in PE and sport.